If you're in a rush today, you could mark Bean Day by having some plain but honourable baked beans on toast from your favourite tin. 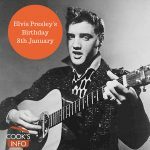 Traditionally, people thought of Christmas as having 12 days. 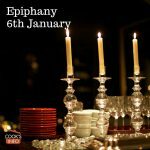 Epiphany marks the end of the twelve days of Christmas. 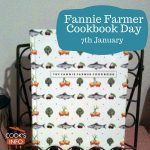 The 7th of January commemorates the 1896 publication of the Boston Cooking School Cookbook, now simply referred to as the Fannie Farmer Cookbook after its author. 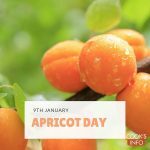 No one is really certain why Apricot Day falls in January. 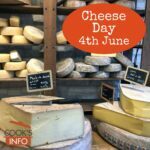 What a day for cheese lovers. Treat yourself to an old favourite cheese, or fall in love with a new one! 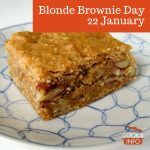 Blonde Brownie Day falls handily in the third week of January, just in case you didn't already have a delicious reason to fall off your New Year's Resolution diet.